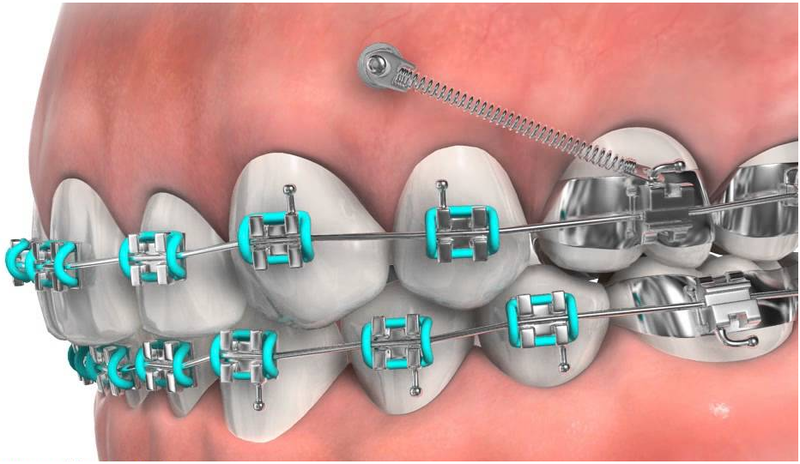 Temporary anchorage devices, or TADs, are small titanium anchors used in certain orthodontic cases to help achieve quicker tooth movement with more efficiency. A local anesthetic is used to numb the gum tissue and the jaw surrounding the area where the TAD will be placed. Once the area is numb, your doctor will gently place the TAD through the gum tissue and firmly into the jawbone. The placing of a TAD is quick, and may be over before you know it. While your doctor is placing the TAD, you may feel slight pressure, but within a day, you will no longer be able to feel the TAD. Your TAD is removed once your treatment is complete, or when it is no longer needed to help straighten your teeth. Removal of a TAD is a comfortable procedure that takes just a few minutes. A TAD can be cleaned the same way you clean your braces: by brushing your teeth at least three times a day. When your TAD is placed, we will give you a prescription for an antimicrobial mouthwash that you will use to brush the TAD with, twice a day. If you have questions about TADs, please contact our practice. We will be happy to answer any questions you may have.